Synura is a motile colonial chrysophyte. Each cell is covered with numerous flat siliceous plates or scales. 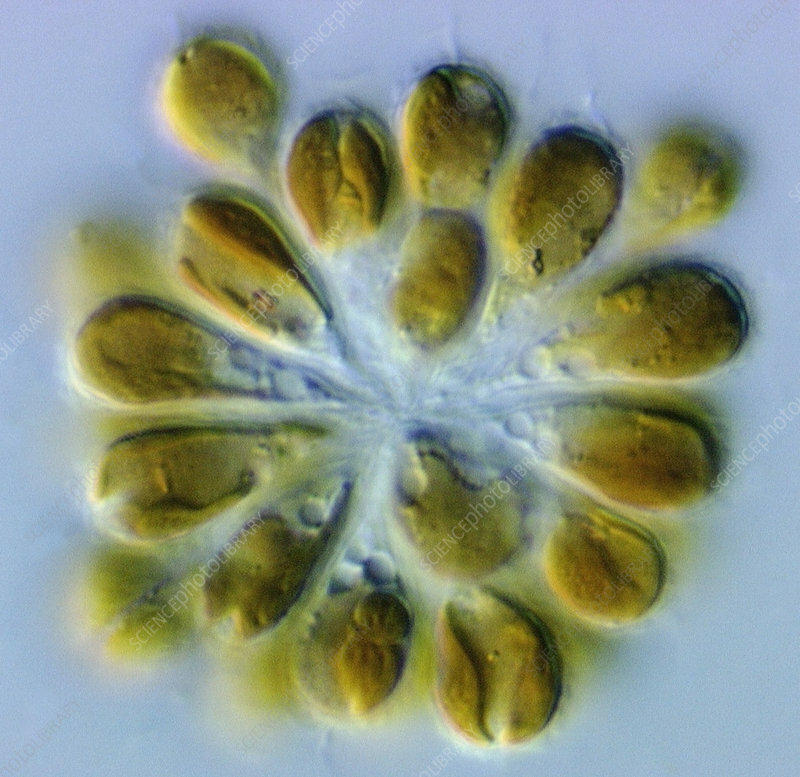 These Golden Algae often causes taste and odor problems.